Kangaderoo Custom QR Code. : Electronic wallet, the QR Code, part II. Quote from the movie Jerry Maguire: "Show me the money." In one of my last blogs entries I reported about PayPal unveiling a new payment system, where they are planning to extend the service to be available in real live as well as an internet payment system. In the article I was rooting for a e-wallet type of service to make payments between individuals also a possible service. As an alternative for PayPal as e-wallet, a choice can also be made for BitCoin; there service is purely based on a e-wallet structure. There are some specifics with relation to BitCoin. The most remarkable feature of BitCoin is that the currency is not backed by any bank or country. This raises the question if this currency is now more or less secure that actual money. The actual value of the BitCoin is linked to supply and demand. BitCoin exist as long as it is used and popular. Would another online system be launched, with benefits that would make it more popular than BitCoin, there is a risk that this currency would be rendered worthless. On the other side; there is no bank, with a urge to make a profit to pay bonuses to employees, taking risks with your money, or going bankrupt. And the fees taken from transactions is very small compared to the currently established online and offline banks. Where the fee is used to maintain the online system operational. The actual BitCoin as well as the transactions are based on encryption, making counterfeit money next to impossible. Just be sure you remember the password of your e-wallet. A once forgotten password equals to losing you wallet. So how does it work? Well quite simple actually. You just open an online e-wallet. This e-wallet get's an ID for example: "15cfk6irBhySNGYKFDd5y47kgMS9Jjpmva". If I want to receive a payment, I just give you my e-wallet id, and you can make a transaction to this wallet. In order to make a payment I would need your e-wallet ID, and an App to where I can specify the amount and a password to initiate the payment. Using a QR Code to identify your e-wallet ID is easier than remembering a sequence of 35 characters. Would you like your own Custom QR Code for your BitCoin e-wallet just go to my custom QR Code relink tool, and login with bcoin/bcoin as credentials. 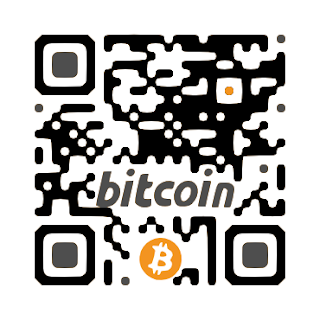 Just enter your 35 character e-wallet ID, and your own BitCoin Custom QR Code is generated.